Jeff was a rookie firefighter on the tail end of a 72-hour shift when he arrived on the scene. 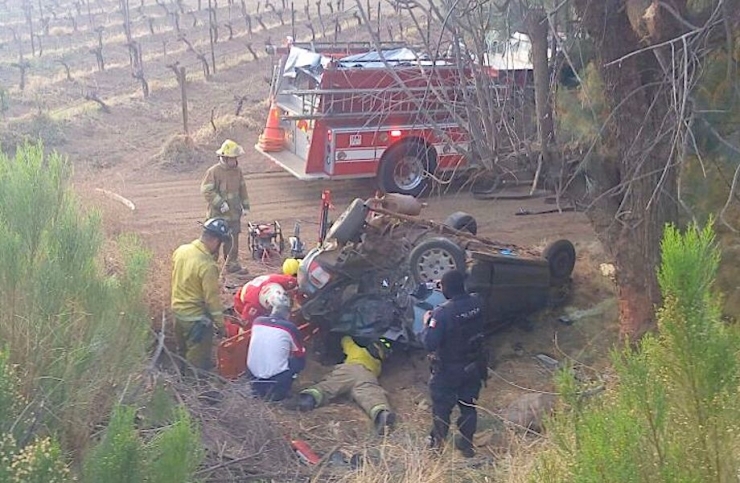 Single vehicle accident, red Pontiac Fiero. The driver was female, mid 20s, brown hair, red dress, red heels. She was heavily trapped in the car, fully conscious, and screaming. They tried every tactic they knew to save her. Cutting, pulling, prying, praying – knowing with every passing minute, this young woman’s chance of survival grew smaller and smaller. It took almost 90 minutes to get her out – Jeff remembers her screaming the whole time. 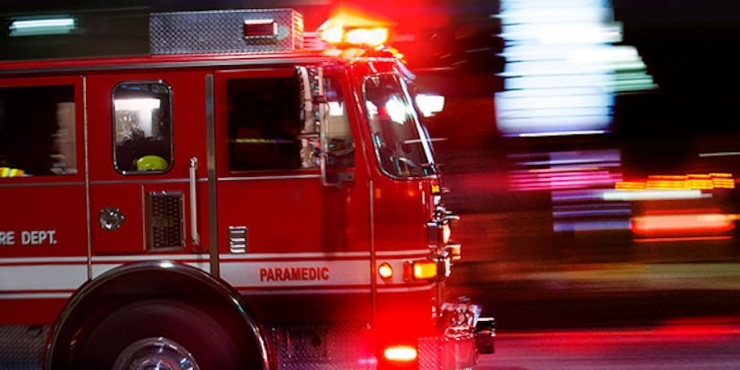 After they cleared the scene, somewhere around 2 a.m., the crew went back to the firehouse to sleep. But no one slept. Instead, they talked about the call, rehashing details and thinking about what they could do differently. They hadn’t failed, they knew that for certain, but they believed they could do better. “I took it personally,” Jeff said. 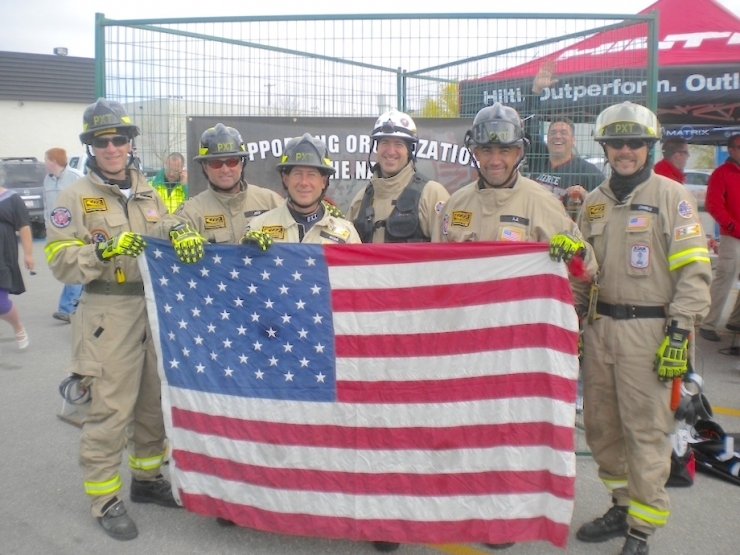 “I became engrossed in training and improving my skills as a firefighter. 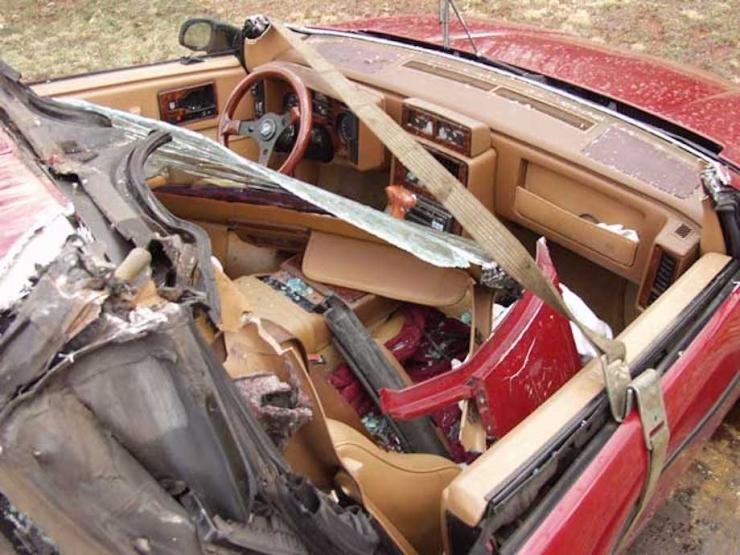 We all did.” Firefighters are trained to fight fires (obviously) and provide emergency medical care, but auto extrication, which could have slashed the time it took to rescue the lady in the Fiero, doesn’t get a lot of instruction. 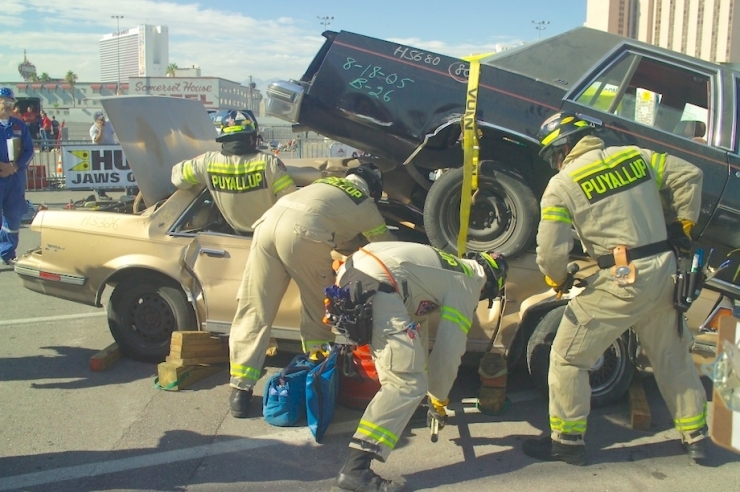 So Jeff did what any red-blooded American male looking for extra job training would do: he grabbed a few buddies from the station and started competing in vehicle rescue challenges. 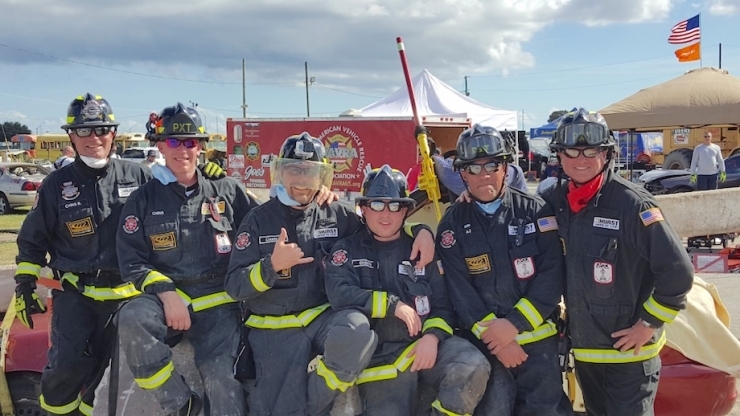 Think of a crossover episode of Grey’s Anatomy and The Amazing Race: first responders from around the world compete in extreme rescue and trauma challenges FOR FUN. Well, partly for fun. 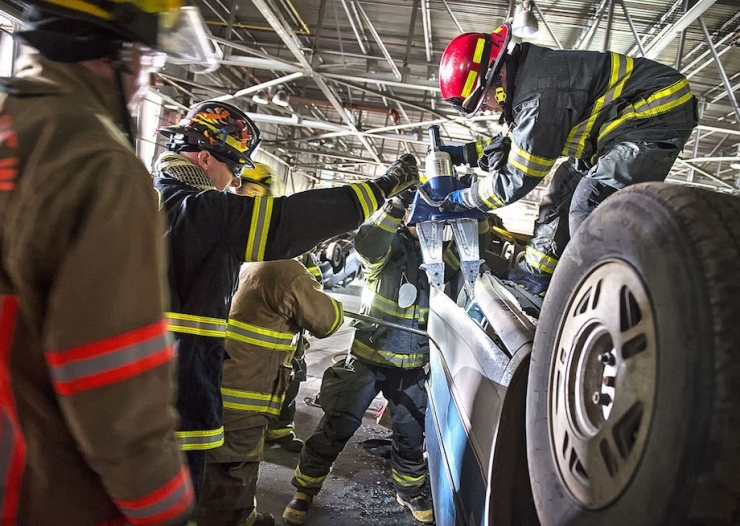 They’re also honing their skills, keeping up with vehicle technology, and helping advance auto extrication techniques, i.e., saving more lives. I asked if he and his team hold any titles, and he humbly admitted they have seven 1st place regional and national trophies, and qualified to compete at the world event three times. These guys know their stuff. Firefighters in surrounding areas started asking for training, and Jeff realized they needed a plan. 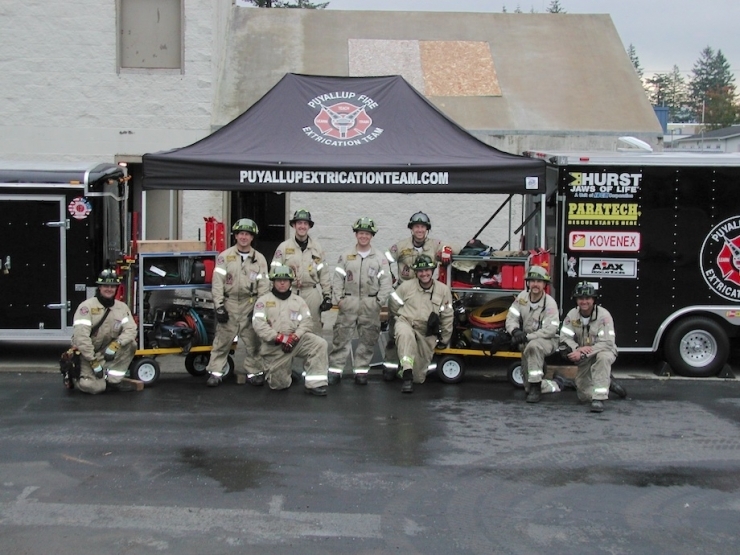 By 2000, Puyallup Extrication Team (PXT) was officially a 501(c)(3) nonprofit, teaching auto extrication techniques to first responders, government agencies, and disaster relief organizations across the country. All while working full time at the fire department. 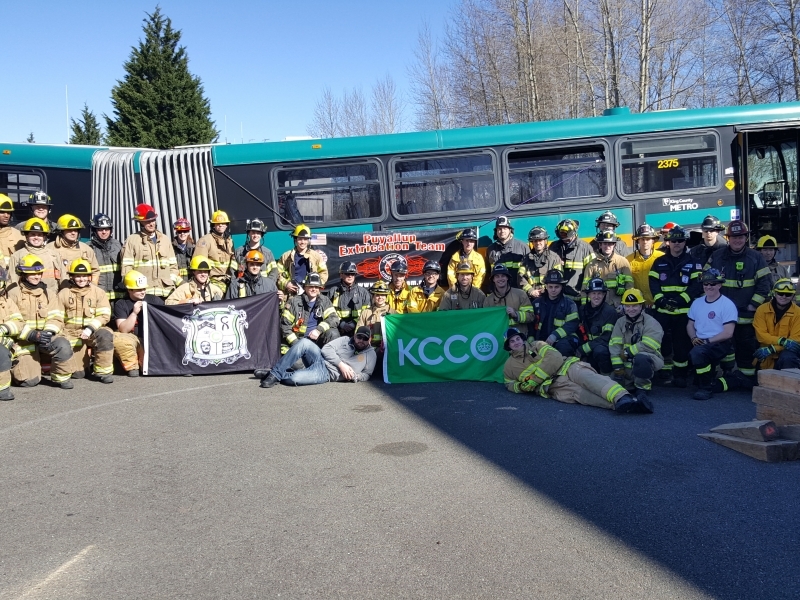 Chive Charities is on a mission to support the brave men and women who risk their lives to keep others safe, and because PXT literally holds the title in that category, we knew they’d fit right in. I asked Jeff how we could help. 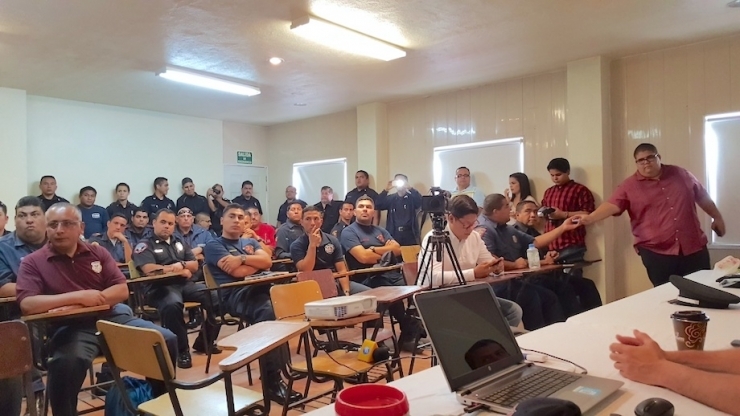 “Our mobile training unit is equipped to serve about 25 people at a time, and for 18 years, we had a sponsor that believed in our mission enough to loan us the tools we need for proper training,” Jeff began. 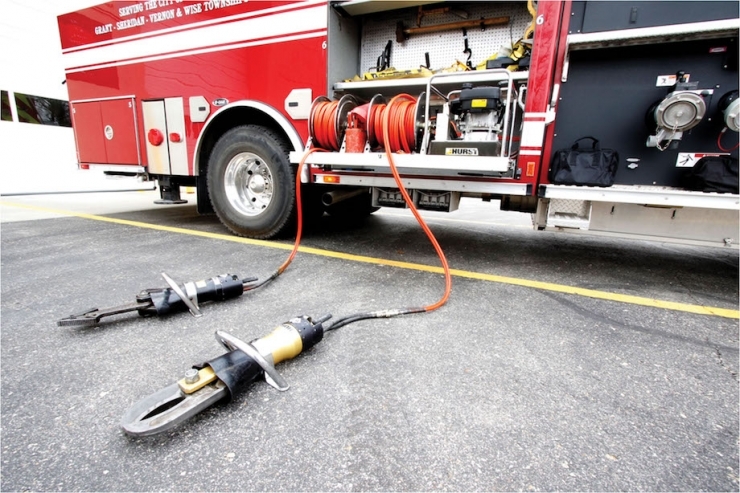 The most important tools on the truck? The Jaws of Life. I always imagined them way more...jaw-like. And much bigger. They’re more like lobster claws, small but mighty. And mighty expensive. A brand new set runs about $30,000, a used set is a little less than half the cost, and having three sets on loan is a steal. But last year, PXT’s long-time tool sponsor ended their support, and they took their tools with them. Now Jeff and his team are in the market for their own equipment, and it ain’t cheap. Thanks to our big-hearted monthly donors, Chive Charities is able to give about 60 grants each year. We’d give 1,000 if we could (perhaps you’d like to help? 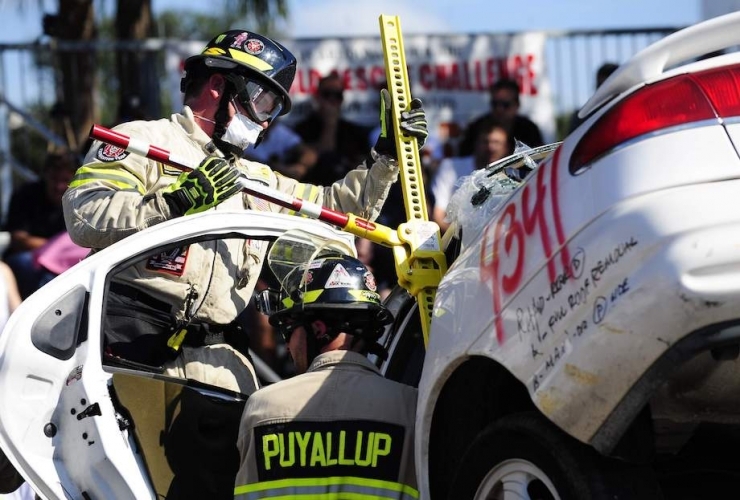 ), but we do our best to help as many underdogs as we can, and this week, we’re honored to present a $25,000 grant to the award-winning Puyallup Extrication Team. 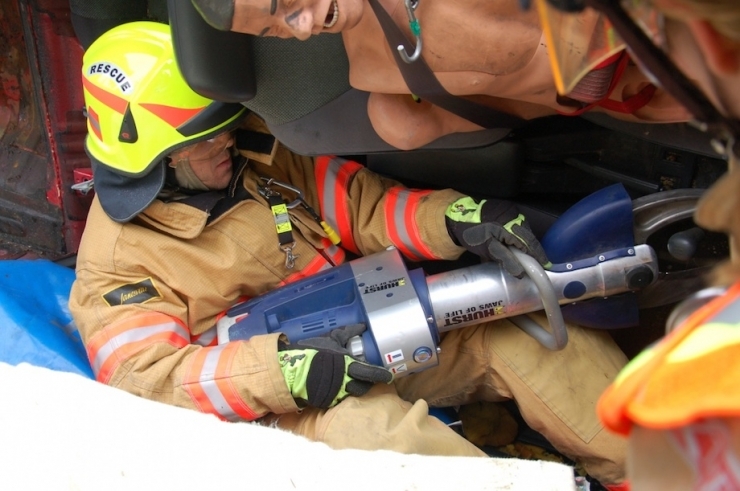 It won’t cover three sets of Jaws of Life, but it gets them about halfway to their goal, and PXT has a plan to raise the rest. We know they’ll knock that out of the park, too. The Chive Charities monthly donors are the Jaws of Life behind every one of our weekly stories. They’re actively changing lives, and if you ask them why they do it, the answer is quite often the same: Chive Charities is doing something unique, and we make it easy for donors to have a real impact on people’s’ lives. Now’s your chance to be part of something special by signing up to be a monthly donor RIGHT HERE.